Contact Fireplant Guitars to get a quote on a custom electric guitar for under $1,000. Ask us questions, leave us comments, let us know if you have a great idea for a custom guitar. Have at it - we'd love to hear from you. 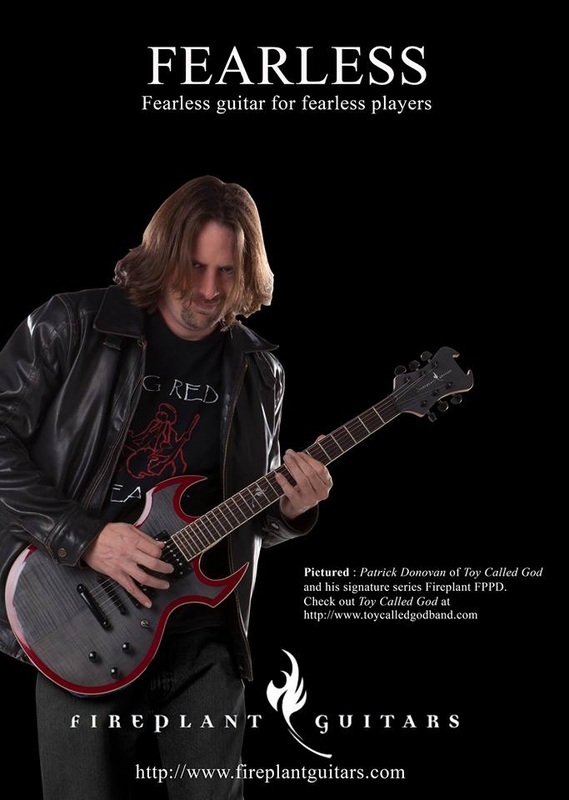 Patrick Donovan of Toy Called God and his signature model Fireplant Guitars FP-PD. Anthony Gamez and his custom Fireplant Guitars FP-1. John Gillette and his custom Fireplant Guitars Splitsville with a WMD paint job.